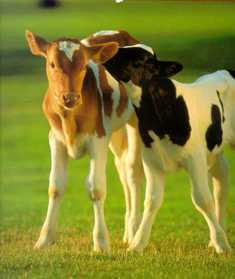 around like calves at play. On any given day there are times when I don’t feel very playful. My spirit is depleted and even a sun shinning day doesn’t dispel the grayness. And as far as feeling victorious, well, some days I’d feel more comfortable walking around with a capital “L” on my forehead. At these moments I become desperate for relief. God expects a lot when He demands honor in the middle of adversity. However, I do find hope in the word but. God promises that He will deal with the arrogant and evildoers, but my true pleasure will come when I give Him the glory. During desperate times victory will come in due time. The sun will shine again and leaping with joy I’ll finally walk out of the darkness into the sun’s warmth. So today I stand in His presence. Calf jumping will come later and no doubt when I least expect it. Jesus, help me to live each day in a way that honors You. my spirit will be ready.